Who do we custom fit? At the Duncan Lambert Golf Shop we custom fit seven of golf’s major brands, Yonex, Titleist, TaylorMade, PING, Mizuno, Cobra, and Callaway using their own unique fitting system to make the right clubs for you. Yonex offer an extensive range of golfing products for golfers of all levels, beginners to experts. They have built a reputation amongst the golfing industry for being one of the leading graphite manufacturers. The technology they have produced year after year has seen them set the ladies and senior market alight. Such a strong reputation in those categories has hidden their expertise in the players market. They in fact make some of todays most advanced forged irons. The All New Ezone GT has a lower centre of gravity to increase the size of the sweetspot, encouraging higher, longer and straighter drives. The Ezone GT also features Dual Tungsten Power for ultimate power output. Made for both male and female players, the EX310 shaft is designed to be light, but still allow for the correct amount of torque, preventing the clubface from closing too much and causing excessive curvature. It’s a Power Breakthrough! Now available with loft and bias adjustment to fine tune your ball flight all year round. The tremendous Elite 2 driver is designed to provide distance efficiency for slower swing speeds whilst the ladies Elite 2 range is specifically designed for the lady golfer. Why not book an appointment and experience the performance for yourself? The Ezone Elite 2 iron has a super deep, undercut cavity to increase forgiveness and therefore maintain a consistency of distance on off centre strikes. The increased forgiveness is due to a larger MOI or ‘sweet-spot’ by increasing the weight around the perimeter of the club head. The Ezone GT has the same Dual Tungsten Power that the woods boast, for Increased Ball Speeds and Sweet-spot resulting in longer and straighter iron shots. The Lower Centre of Gravity also helps launch the ball higher for soft landing shots. The Length of an iron is extremely important for ensuring you maintain a consistent centredness of strike and the lie angle can also be altered to reduce the amount of curvature on your ball flight as well as maintain good turf interaction. Golf is all about confidence in your game and your equipment. That’s why Titleist design arguably the highest performing equipment with one of the most precise club fitting experiences in the game. Duncan Lambert’s highly skilled team of fitters utilises the most advanced tools to help players optimise driver performance, make iron play more precise, dial in their wedges and fine-tune set compositions. 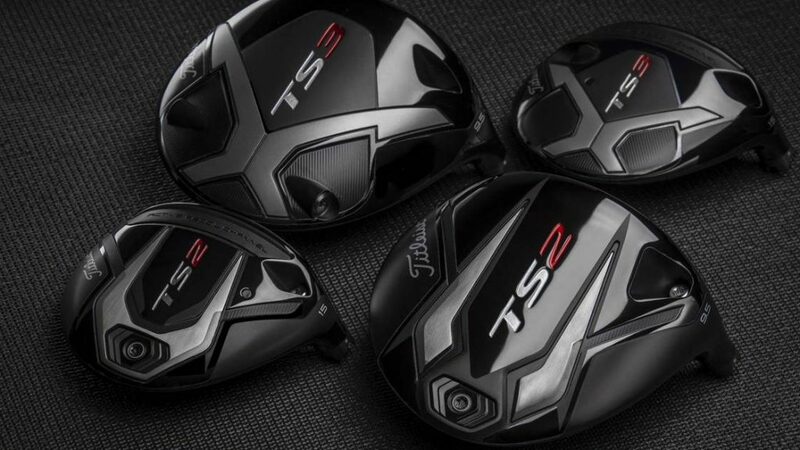 The best way to truly appreciate the high performance value of Titleist golf clubs, achieve total confidence on every shot and shoot lower scores, is to experience a Titleist club fitting for yourself. It’s not one thing, it’s everything. The new Speed Chassis is the result of a two-year mission to deconstruct the driver and then design greater speed into every detail. 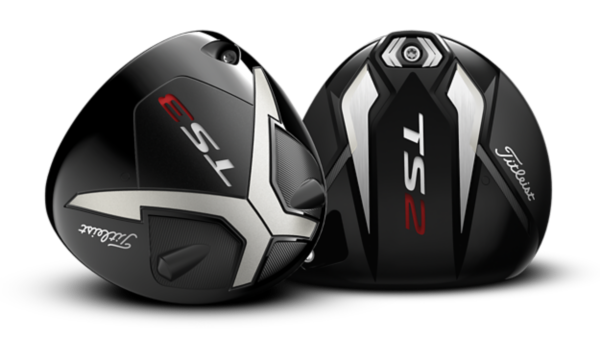 Now available in two designs, each born to bring the future of Titleist speed to your game. Titleist pride themselves for ensuring they have covered both forgiveness and playability without compromising the aesthetics of the club. The 718 Range is no different, providing extreme feel at impact and true tour performance for both the recreational and elite golfer alike. The 718 iron range consists of 4 separate models. Each individual head shape is designed to provide different performance characteristics for golfer of all levels. The AP1 is Titleist’s longest and most forgiving iron ever. Built with a 360 undercut cavity and tungsten perimeter weighting the AP1 is the perfect match for golfers seeking maximum distance and forgiveness. For golfers in search of Tour-proven design with distance, forgiveness and feel, the AP2 is the one to choose. With a co-forged construction and high density tungsten weighting around the perimeter of the club, the AP2 provides the golfer with the best combination of forgiveness and feel. The CB Cavity Blade is designed to produce shot control and forgiveness. This compact head design is equipped with low perimeter tungsten weighting to ensure forgiveness isn’t compromised when adding iron playability. Lastly, the MB Muscle Back iron is built to deliver maximum shot control with a traditional forged feel. It features the thinest top line amongst the 718 range and is specifically designed for golfers in search of ultimate shot making control. 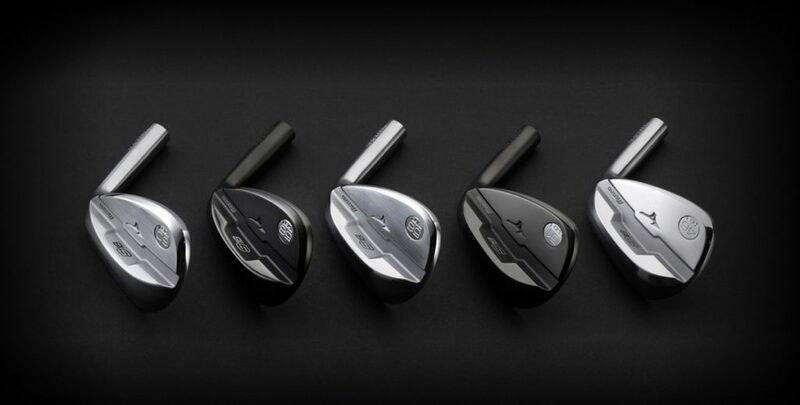 Since 2004, Vokey wedges have been the number one wedge within golf and it is easy to see why. Their clean and aesthetically pleasing club head, teamed with a variety of finishes, are complimented with a variety of Loft, Bounce and Sole Grind Options inspired by the worlds best players. Loft gapping is extremely important when giving the best coverage of yardages in your golf game. How many wedges should you carry in your golf bag? We can help you decide. Bounce is the angle between the leading and trailing edge of the wedge. Common misconceptions are that only elite players use less bounce. In truth, it is your swing type that determines the grind and amount of bounce you require. At Duncan Lambert Golf we have the knowledge and experience the find the perfect wedge specification for your game. TaylorMade have started 2018 on the front foot. 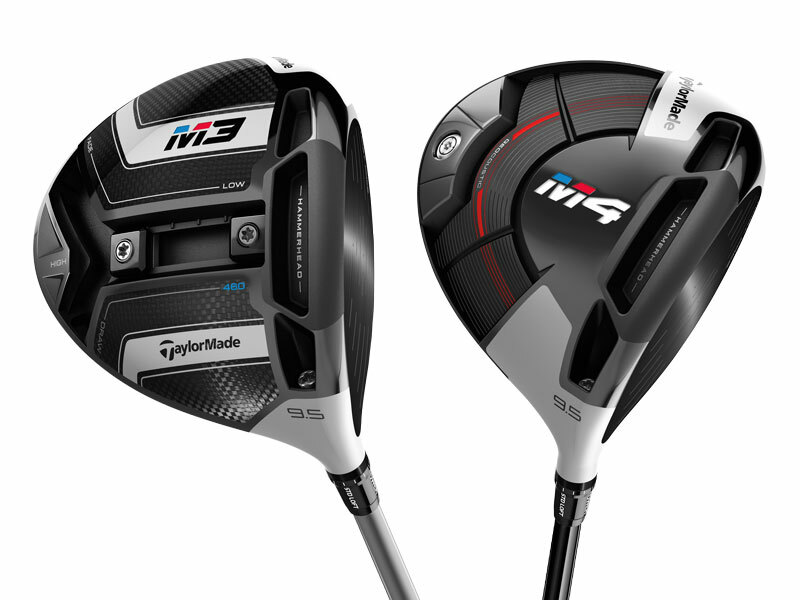 Their brand new M3 & M4 range has got people talking and the new ‘twist-face’ featured in the M3 driver has certainly brought something new to mix. TaylorMade have built a reputation for innovating the way clubs are designed and their 2018 range is set to prove that! 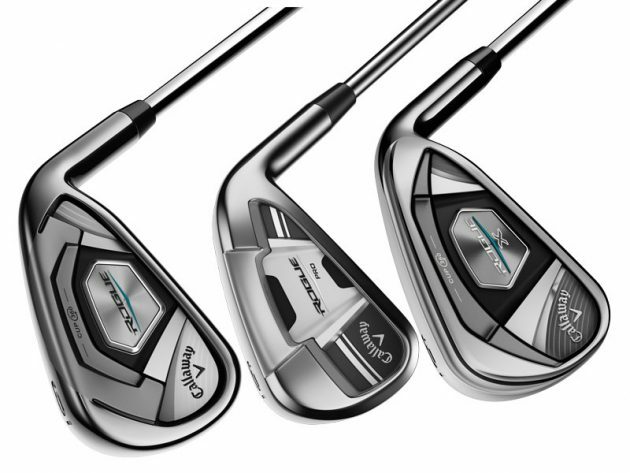 The M3 range is equipped with golf’s first ever twist face. If you’re wondering what that means then here we are.. Twist Face presents a revolutionary new face curvature with a corrective face angle on off-center hits, engineered to reduce side spin and deliver straighter shots. By providing more loft in the high-toe and less loft in the low-heel, this groundbreaking technology produces more consistent side spin in the areas where golfers commonly mis-hit. 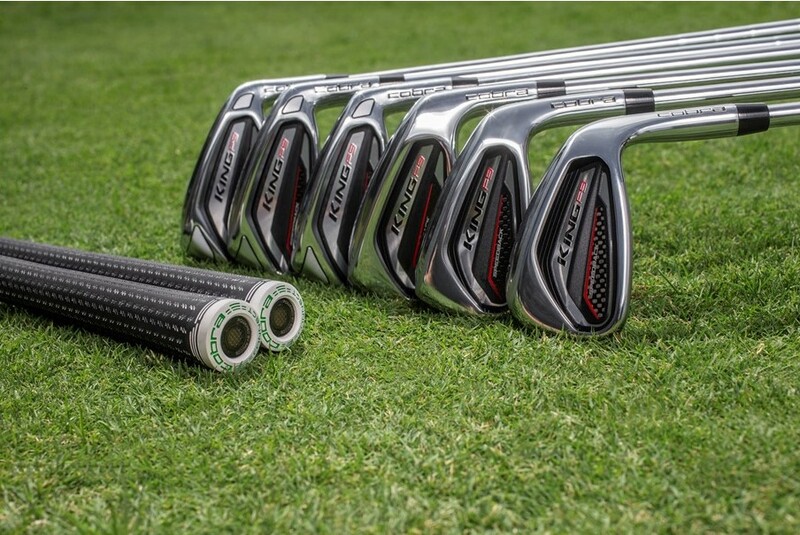 The new Y-Track system is TaylorMade’s new adjustable weight system. Simple and intuitive, the Y-Track delivers a completely connected track system for the first time, giving golfers unrestricted movement of 22g of mass (two 11g weights). The golfer can now alter these weights to fine tune their ball flight to their requirements. The M3 Driver is also available in a 460 and 440cc head. All custom fitting sessions at Duncan Lambert Golf are delivered by PGA Professionals who are professionally trained to find the perfect club specification for your game. Alterations can be made to everything from the club head to the grip. Are you M3 or M4? Call o1732 844022 to speak to one of our professionals and we are happy to help start your new TaylorMade journey. This beauty is a beast! The new TaylorMade iron family has a something for everyone. Whether you are seeking playability or pure distance, TaylorMade have the answers to your wishes. Quite often we expect a compromise between distance and control but the new P 700 range is set to blend both worlds. Some say distance doesn’t matter but who wouldn’t prefer hitting an 8 iron instead of a 6 iron into the tightest green on the course? Performance is key but if it can be done with exceptional feel – even better! Maybe it’s time to see what improvements TaylorMade can bring to your game, with the help of our PGA Professionals.. 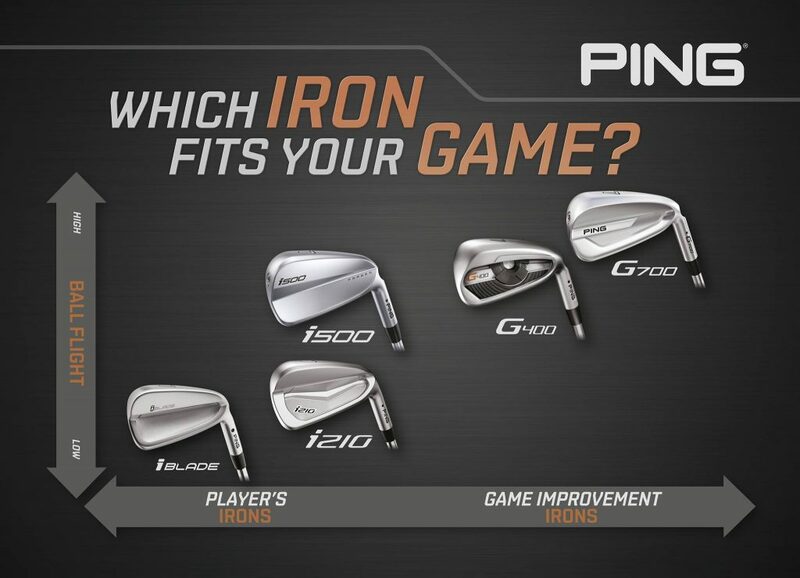 So which P.700 Series iron suits you? For ultimate playability the forged tour 730 is your man. If you’re seeking control with feel, the 750 combines the two. Those seeking performance with forgiveness should consider the 770 and lastly for the ultimate blend of distance and feel the 790 has all bases covered. So what does the M-Series bring to the table? Well, packed with TaylorMade’s new Ribcore technology the M-Series is designed to help you hit the ball longer, straighter and higher. That’s right.. 3 game benefits for the price of 1 club! Selecting your perfect set can be a complicated science on the web so why not simplify the process and book yourself a custom fit session here at Duncan Lambert Golf. We can ensue that you not only find the correct club head, but also the perfect shaft, length, lie and grip to bring the most benefits to your game. When you think of Ping, what is the first thought that come to mind? I believe most of you will instantly think, ‘Custom Fit’. This is because they have a rich history, spanning over 50 years of producing the finest quality golf equipment that is built for every individual’s different needs. Ping have released 3 individual driver designs within their all new G series. 3 separate designs built to provide entirely different ball flight characteristics to golfers of all abilities. The G series features variable face thickness to maximise ball speed, crown turbulators to reduce aerodynamic drag and Ping’s very own trajectory tuner 2.0 to adjust loft by +/- 1 degree. Fine tune your ball flight by choosing either the LS (Low Spin) or SF (Straight Flight) design. Ping’s 2018 collection has had a new arrival, name the G700. This new iron design from has been described by Ping themselves as the, ‘longest and highest flying iron to date.’ That is a bold statement from one of golf’s biggest brands and we’re sure they have the results to back it up with. So why is it so good? The new G700 has been built with a hollow body as you can see from the picture above. This design characteristic produces faster ball speeds and also allows for saved weight to be re-positioned into a more forgiving location. The weight saved from making the club head hollow has been re-positioned around the perimeters of the club and focused in particular low into the sole. This all adds up to one of Ping’s most forgiving, powerful and high flying irons to date. Ping have become notorious for their incredibly wide range of club designs and their popularity shows no signs of slowing down! Featuring 431 stainless steel for the very first time in a Ping iron, the i-Series delivers workability and shot control with the right amount of forgiveness. This is the perfect match for those who seek forgiveness within a ‘players’ looking iron. The new i-Blade is designed to provide ultimate feel within a clean and compact club head. It is built for golfers in search of complete workability and shot control to execute any high demanding precision shot. The question is, what type of Ping player are you? We at Duncan Lambert Golf have the iBlade, i210, i500, G400, G700, G-Max and G-Le for you to try and our PGA Professional are here to ensure you find the perfect match for your swing. 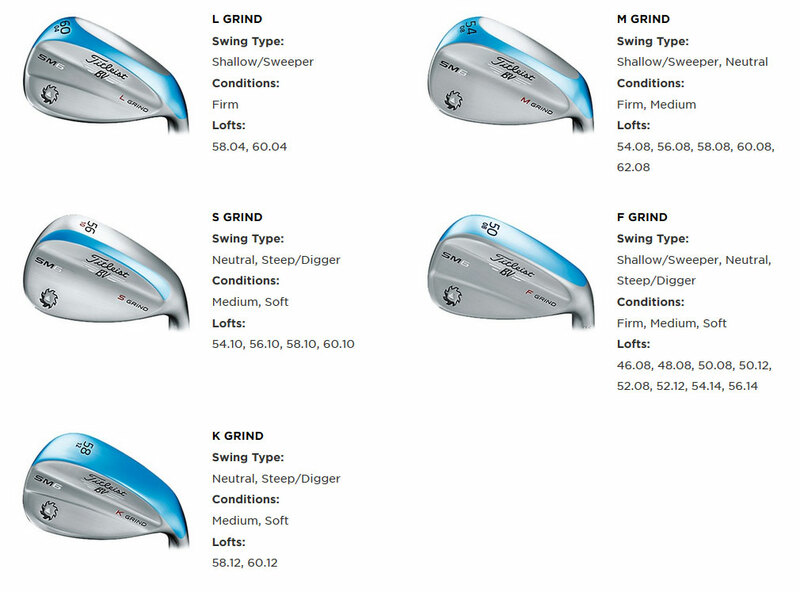 Ping have considered every component specification within their Glide series wedges. Starting from the Dyla-grip (longer for gripping down for trajectory control) players can now refer to clear markers on the grip to increase their distance control performance. Whats your DNA? At Duncan Lambert Golf, we pride ourselves in being a Mizuno DNA Fitting Specialist. The state of the art fitting club measures 5 different parameters of the golf club in swing to provide the 3 best steel shafts to compliment your swing. We are then armed with 30 different shafts and 20 different clubheads so you can hit your chosen golf club to see how it performs on our state of the art launch monitor from Flightscope. 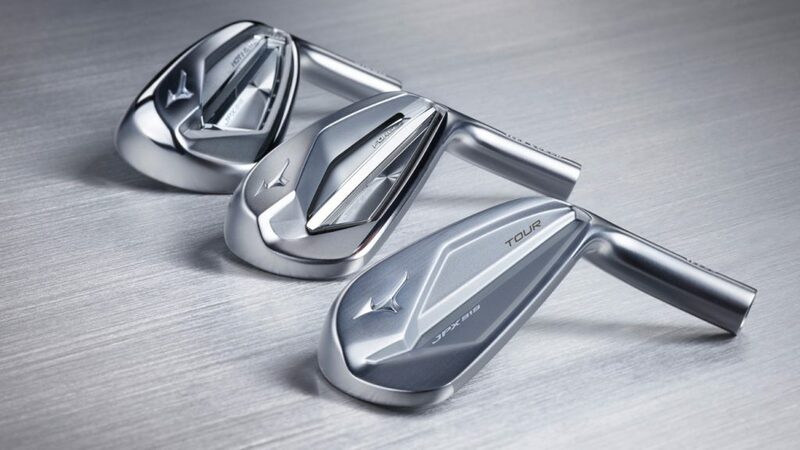 Mizuno have had a tremendous start to the 2018 season with their new MP-18 iron range and they have now released a new line up of woods to the family. The new ST & GT 180 range are designed with every individual in mind. Whether you have high or low spin, Mizuno are able to fine tune your performance characteristics to improve your shots. The ST180 driver is designed for all out distance with loooooow spin, whilst the GT180 is built for adjustability to any spin choice. Why not book yourself a custom fit here at Duncan Lambert Golf and we can find the perfect club set up for your game. Pick from a wide variety of custom fitted shafts and view all of your ball flight characteristics on our state of the art FlightScope. Mizuno pride themselves as being one of the top forged iron manufacturers in the world. A Japanese brand, based in the U.K. use some of the best materials in their clubheads in order to increase the feel through impact. 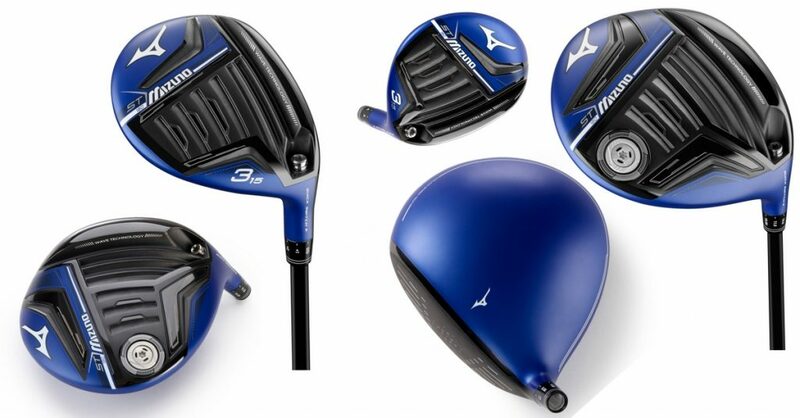 Whether its the JPX 919 Hot Metal range for Beginners, of MP-18 Blades for the Expert Golfer, Mizuno have every base covered. Their extensive range of clubheads will suit both beginners and expert golfers alike. The wide range of steel and graphite shafts available mean the DNA fitting system has a large database in order to be able to pick out the best shafts for you. Varying in weight, flex and feel. All Steel shafts are included in the price, so no hidden up charges! Our Qualified Custom Fitters can ensure you have the correct length of golf club for you to help ensure you maintain a centred strike at impact. They will also ensure the Lie Angle is correct as this can reduce the amount of curvature on your iron shots. 1 degree out could be 8 yards of curvature in your ball flight. Small or Large Hands? Hook or Slice? We can improve the comfort of the club in your hand or promote a straighter ball flight by adjusting the size of your grip. Cobra have built themselves an exceptional reputation within the golfing industry. Their extensive range provides the club technology required for golfers of all abilities. If you are in the market of upgrading your golf clubs, book yourself a custom fit at Duncan Lambert and ensure that you have the specifications specific to your individual requirements. Speedback Aero Design – Speedback™ Technology delivers a highly aerodynamic clubhead shape, and is the first to combine a raised skirt, rounded crown, and rounded leading edge to improve airflow for maximum speed and stability. Low CG Speedback Weighting – The addition of a low, multi-material CG structure maintains a low, deep CG that has never before been combined with efficient aerodynamics, optimizing club and ball speed. combined with low spin for extreme distance. CNC Precision Milled Face -In an industry where everyone claims to have a fast driver face, ours is the only one that’s CNC milled. To achieve optimal performance, utilizing the most precise manufacturing processes is critical. CNC milling delivers our thinnest, hottest face repeatedly on every driver we manufacture. Technology and innovation so bold, it doesn’t need to be understated. Revolutionary SPEEDBACK™ Technology achieves the ultimate combination of low CG and high MOI, delivering the most powerful, stable and accurate COBRA iron. Low CG Speedback Sole – Additional mass is added low and back, delivering a lower and deeper CG that increases ball speed and launch to maximize distance. The mass is strategically elevated from the contact area of the sole to maintain a sleeker appearance. Forged E9 PWRShell Face – An E9™ variable thickness face design is 1.8mm at its thinnest point, and expands the SWEET ZONE™ area on the face. A forged PWRSHELL™ design features a deep undercut sole with a 1.2mm internal channel that absorbs and returns more energy to the ball for higher launch and faster ball speeds. Co-Molder Medalion – A 3-piece multi-material medallion in the 4-7 iron combines Aluminum, TPU (Thermoplastic Polyurethane) and Acrylic foam. The combination of lightweight, vibration damping materials promotes a softer, more responsive feel that is not normally found in a game improvement iron. CNC Milled Face & Grooves – Utilizing a precise manufacturing process typically found only in forged players irons, the KING F9 irons are the only game improvement irons to feature CNC milled faces. CNC milling delivers a perfectly flat face, precise grooves, and precise lofts for maximum spin and trajectory control. COBRA CONNECT™ – COBRA CONNECT, Powered by Arccos™ features electronically enabled grips that work in conjunction with the Arccos Caddie app, allowing users to track their stats and improve their game. Players of all abilities will benefit from an opti-fit custom fit with one of Duncan Lambert’s qualified Callaway fitting experts. Callaway are obsessive about creating new and innovative technology in order to improve your golf. With the guidance of our professionally qualified custom fitters, we can customise any Callaway product to fit your swing genetics. Callaway’s Epic range was the number driver in golf for 2017 and their latest and greatest range shows no signs of slowing down! So for 2018 we introduce you to the all new Rogue range. 3 different head designs for 3 different types of golfers. You can choose from the standard Rogue (maximum forgiveness), the Draw Rogue (draw biased) and lastly the Sub Zero (designed for a lower spinning trajectory). 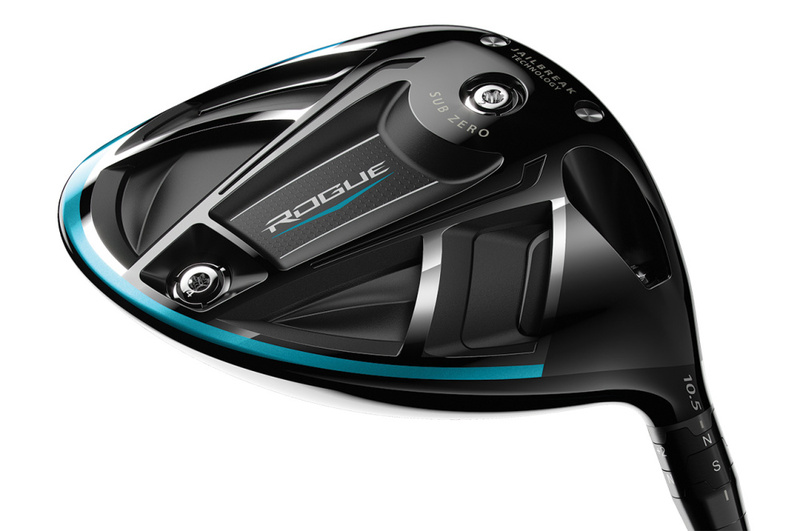 Callaway have an extensive range of drivers, including the XR, Epic and Rogue. At Duncan Lambert Golf, we have the complete range available for fitting. 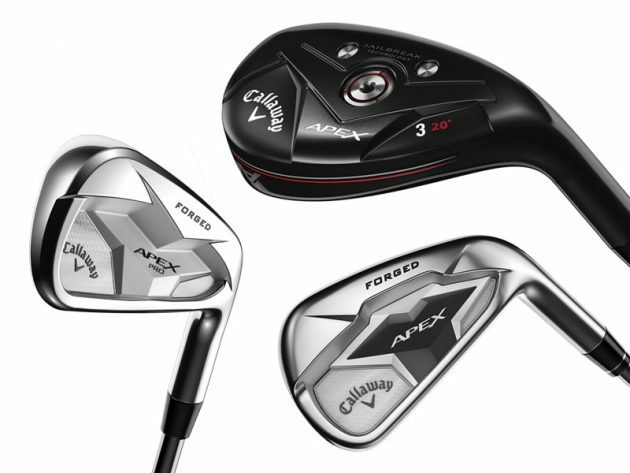 2019 marks the arrival of the new Callaway Apex and Apex Pro 19 Irons in addition to a new Big Bertha whilst the Rogue Irons remain in the line up for the coming year. Callaway pride themselves in having a wide variety of club heads to choose from, to suit both the novice and expert golfer alike. The shafts available will give you the best chance of improving your golf performance. Whether you are looking for a different trajectory or reducing the curvature, the wide range of steel and graphite shafts enables our custom fitters to select the perfect shaft fit for purpose. Each differing in weight, flex and step patterns to provide both a different feel and performance. Length of the club can be used to improve posture at set up and through your swing, whilst also increasing distance and the probability for centre strikes. Lie Angles can be adjusted to improve turf interaction through impact. If your Lie Angles are incorrect for your swing dynamics it will cause the club face to be offline during become at impact. Grip size will affect how your deliver the club to the ball which can effect both distance and direction. Spin like you’ve never spun before with the new Mac Daddy 4 Wedges. Choose your finish and we will do the rest. Available in 3 different grinds, Callaway are able to build a wedge to suit every swing type. Bounce is the angle between the leading and trailing edge of the wedge. Common misconceptions are, only better players use less bounce. In truth, Bounce is your friend and it all depends on your angle of attack. A video of our Duncan Lambert Golf Custom Fittings in progress. Do you want more distance? More accuracy? Less curvature? A different trajectory? Let our PGA pros know. The most important part of a club. Finding the correct shaft will optimise trajectory and distance, whilst giving the shots the tightest dispersion possible. Looks are just as important as performance. We can suggest the best club loft and setting for you, however ultimately when it comes to looks, it’s your choice! Extremely important to ensure the best chance for a centred strike and minimal curvature on your ball flight. The correct grip size and compound will help straighten your shots and provide you with the ultimate feel and comfort to suit your swing type. Upon payment, we can order your clubs to be built from scratch by the manufacturer; custom fitted by us, made for you. Delivery is normally 7-10 days but we will inform you of lead times at the point of order. All our custom fitting takes place outside on our driving range with proper golf balls. This gives the vital information on where the ball is actually going. Do we use computer technology? Yes most definitely. We track the golf ball with latest radar technology from Flytescope allowing our expert fitters to monitor every potential benefit to your game. All our custom fitting is carried out by PGA golf professionals that have attended and passed all the custom fitting courses of each of the manufactures. Will custom fitted clubs cost me more? No is the simple answer, we only charge the same for custom fit clubs as we would charge for a set of standard clubs. However, we tend to find when golfers are custom fit they actually buy less clubs, as we never sell them clubs they would not be able to use. Do I have to pay for a custom fitting? We do charge £30 for a custom fitting, however if you purchase the clubs you will get £15 back. Do we custom fit left handed golfers? Yes we have left handed clubs in our custom fit options; however we would recommend you telephone the shop for availability if there is a specific club you are looking to try. Do we custom fit lady golfers? Yes of course we fit ladies, and with our shop being the largest ladies golf shop in Kent, we are extremely keen to look after all the lady golfers. Will players of all abilities benefit? The novice golfer will discover before purchasing which club combination works best for them. The advanced golfer will be able to fine-tune their desired feel and ball flight with precision. Do we make the clubs up ourselves? No absolutely not. Once we have custom fitted you, we take your details and send them to the manufacturer. The manufacturer then make up the set of clubs specifically for you. Delivery time is approximately 7-10 days. Please telephone the golf shop and speak to one of our PGA professionals on 01732 844022, or click here to email us.